Episode 4 of The Richard III Podcast looks at the coronation ceremony of King Richard III and what the lavish ceremony can tell us about the beginning of this most infamous king’s reign. The coronation that took place on Sunday 6th July 1483 was, only a fortnight earlier, unplanned. London was prepared for a coronation, that of King Edward V on 22nd June but that was fated not to take place. Edward had been declared illegitimate and his Protector asked to take the throne. Therein lies another story. King Richard III’s coronation was significant on many levels but the political and dynastic shockwaves of the following years have overshadowed the magnificent spectacle of a coronation memorable for a catalogue of reasons. A coronation had been made ready, so the pomp and splendid pageantry was in place, streets bursting with colour and packed with bodies hungry to catch a glimpse of their new monarch. The first matter of note was that this was a joint coronation. King Richard and his wife, Queen Anne Neville, were crowned together. This had only happened three times before. Henry II and Eleanor of Aquitaine had enjoyed a dual coronation on Sunday 19th December 1154, though they had perhaps not enjoyed their subsequent relationship quite as much. Edward I was crowned alongside Eleanor of Castille on 19th August 1274 and his son Edward II had his wife Isabella of France crowned beside him on 25th February 1308. The joint coronation of Richard and Anne was a first in 175 years. The absence for so long of a couple being crowned together was in part a testament to the upheavals of the previous century or more. 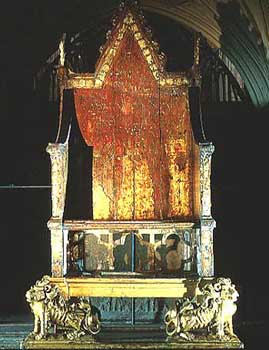 Edward III had taken his father’s throne at a young age. His heir had died less than a year before he was to, leaving his 10 year old grandson to reign. Richard II was to be punished for his tyranny when the widowed Henry IV removed him. Henry died aged 46, leaving his unmarried son to be crowned King Henry V. When that warrior king died, his son was only 9 months old. Henry VI’s insipid rule brought about the Wars of the Roses and saw Edward IV seize the throne, crowned at 19 before he met Elizabeth Woodville. It was his son, aged 12, who had been due to be crowned on 22nd June. So, perhaps, this joint coronation of a settled, mature couple, Richard being 30 and Anne aged 27, promised much. They had a son to act as their heir. The omens were promising. This was something new at a time when the country did not want old problems. On Saturday 5th and Sunday 6th July, King Richard and Queen Anne processed from White Hall to Westminster Hall, walking on a carpet of vibrant red cloth. The master of the ceremonies that had now begun to unfold was Henry Stafford, Duke of Buckingham. Another matter of some significance. John Howard had been granted the offices of Earl Marshall and High Steward of England, making him the man traditionally positioned to oversee the coronation. Buckingham, though, had handed Richard his crown and he was determined to be the second most significant man in attendance. It is questionable whether second was ever enough for this proud man. The coronation set a precedent of spoiled indulgence that was soon to overflow into rebellion. 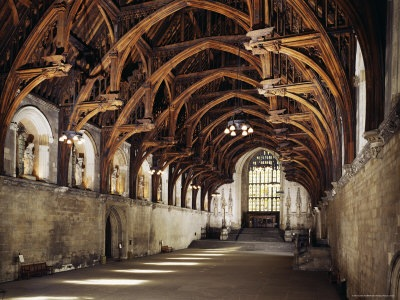 The spectacle proper began as the king and queen processed now from Westminster Hall to Westminster Abbey. They walked barefoot, as was traditional, behind a large cross and members of the clergy. Henry Percy, Earl of Northumberland carried the blunt sword of mercy. Thomas, Lord Stanley bore the Lord High Constable’s mace. Next came the Earl of Kent and Richard’s closest friend Francis, Viscount Lovell each carrying a pointed sword of justice. Richard’s brother-in-law, the Duke of Suffolk held the sceptre and the king’s nephew John de la Pole, Earl of Lincoln bore the cross and ball. Thomas Howard, Earl of Surrey solemnly bore the sheathed sword of state held upright before him. Finally came Surrey’s father, John Howard, Duke of Norfolk carefully holding the crown in his hands. King Richard himself walked enrobed in a sumptuous purple velvet gown, a bishop at each shoulder and his train born without humility by the Duke of Buckingham. The Wardens of the Cinque Ports held the cloth of estate above the king’s head. The luxury and vivid, vibrant colours would have been a sight to behold and the message of a bright new future clear for all to see. Behind followed a series of earls, barons and lords bearing the queen’s regalia. Anne walked behind with Margaret Beaufort, Countess of Richmond holding her train. Richard’s sister Elizabeth, Duchess of Suffolk walked alone in state followed by a further 20 ladies of the nobility and a host of knights and squires. The sheer scale of the event must have been enough to inspire awe, creating a wave upon which the new king and queen might ride to glory. 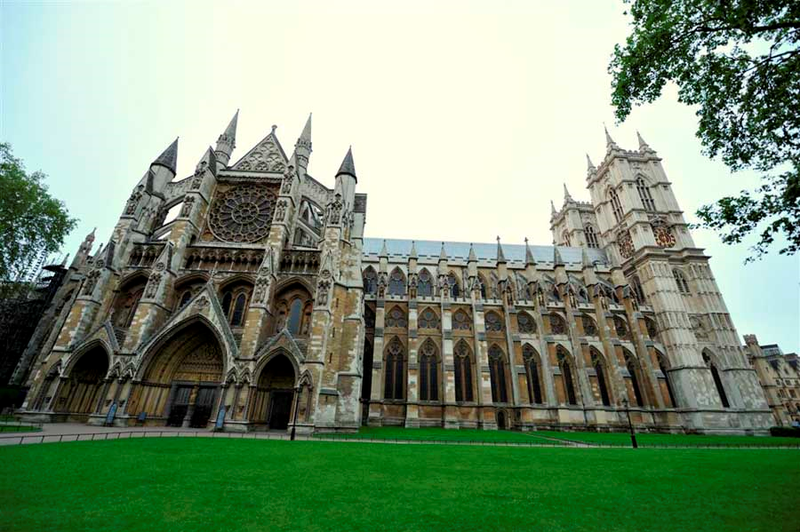 As they entered Westminster Abbey, the space erupted into ringing choral rejoicing. Divested of their ceremonial garb, the king and queen were anointed with holy oil by Thomas Bourchier, Archbishop of Canterbury. 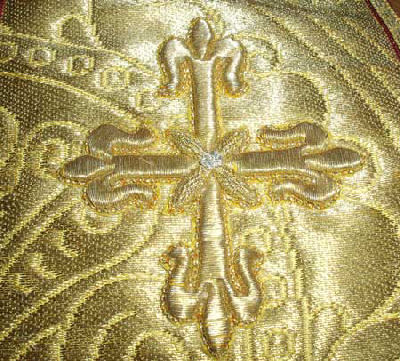 When they had been enrobed in sumptuous cloth of gold, the elderly Archbishop lowered a crown upon the heads of the new king and queen. Organ music filled the sacred space. A solemn Te Deum was sung and High Mass was said. England was rejoicing in the king and queen that God had appointed to her. The spectacle was far from over. The coronation feast was eagerly expected next. In Westminster Hall, the Duke of Norfolk entered riding a charger adorned in cloth of gold to evict the gathered spectators and make room for the feast. A table on the dias was laid for the king and queen. On the floor of the hall, four further tables were placed, one for the attending bishops, the second for the high ranking nobility, a third for the barons and the fourth for the ladies invited. Each filed in, pledging their loyalty before the king and queen before taking their seat. In all, over 3,000 people attended the feast. 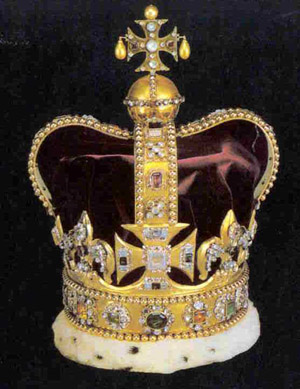 Richard III’s coronation was perhaps the last on this scale. Numbers catered for at the feast fell dramatically in subsequent years until it was abandoned altogether in 1830 by William IV on the grounds of cost. No monarch since has reinstated the event. Before the second course of the feast was served, the King’s Champion burst into the hall. Sir Robert Dymmock (whose family still hold the ceremonial position today) rode a destrier draped in red and white silk and wore armour of bright, pure white. He issued the traditional challenge to any who doubted King Richard’s right to rule and the room rang to shouts of ‘King Richard!’. With no challenge forthcoming, the Champion was served a covered goblet of red wine. Taking a draught, he cast the rest upon the floor, keeping the cup as his reward, and rode from the room. The whole event had been an unmitigated success, perhaps the most lavish, well attended and best celebrated coronation Westminster Abbey had ever seen. At least it was in living memory. The Tudors are renowned for their use of spectacle as propaganda, but here King Richard III set a benchmark that even they would struggle to match. Lost amid the rapturous pageantry were several notable anomalies, full of both promise and foreboding. With the exception of three earls who were minors too young to attend and a small handful of others, the entire English nobility turned out to celebrate the coronation. By comparison, the ceremonies both before, of Edward IV and after, of Henry VII, were bland, partisan affairs. Richard appeared to have embraced all of his new subjects. The Lancastrian Earl of Northumberland and Margaret Beaufort were in places of honour. Conciliation and the healing of old wounds seemed a real possibility. Without the benefit of hindsight, England must have appeared settled and happy. However, examining the makeup of the procession more closely raises an interesting question that adds to the foreboding hinted at by Buckingham’s leading role. Thomas, Lord Stanley, proudly carrying the Constable’s mace, walked in a position senior to dukes and earls alike. An odd turn of events for a man known for a lack of loyalty that was unpalatable to Richard. Stanley had been involved in a long feud over possession of Hornby Castle with Sir James Harrington. Richard had, as early as 1470, taken Harrington’s side in the affair yet chose to lavishly honour Stanley. Was this a nod to the inescapable political reality that Edward IV had worked within? Stanley headed a veracious, up and coming family that boasted a huge force of men upon which they could call. It may have been a genuine attempt to build political bridges. If he was to rule all of England, niggling local feuds would have to be put to bed. Either way, an old enemy was in a place of high honour. Hindsight will tell us that the reign of King Richard III and his Queen Anne was not to last. Those honoured that day contributed to his downfall. Its attendants did not have this knowledge. For those who stood in Westminster Abbey, for those who sat indulging at the feast and for those who lined the streets cheering and soaking up the atmosphere, it was a spectacle like no other they had ever seen. It promised security, safety and a settled contentment for a country nursing ragged scars. Or perhaps the signs were there, just beneath the polished veneer, that this was a veil drawn over old, unresolved problems and new lurking threats, a bandage applied to ragged scars about to reopen once more.